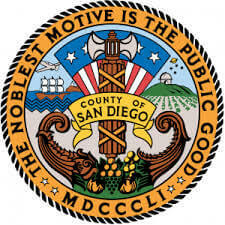 San Diego County also provides a searchable court index which may be used to search all felony criminal court cases at all court locations throughout the county. These locations include the Central Courthouse located in downtown San Diego, theSouth County Regional Center located in Chula Vista, the East County Regional Center located in El Cajon, and the North County Regional Center located in Vista. The court index contains identifying information on all felony cases in San Diego County since 1974. Court records for misdemeanors, traffic violations, and other minor infractions may be sought at the court location where the case is venued. The San Diego Superior Court also provides a Court Index which may be used to search for criminal cases by party name, case number or DA number. You may also provide the court location, if known. The results returned by a search will include, the case number, the party’s name, the party’s year of birth, and the date the case was filed. When a search is initiated using the party’s name only, all cases with that name will be returned in the search result. You will then need to identify the correct file by the other information returned such as birth date and the date the criminal court case was filed. Armed with the name and location of the case file you are researching, you should now be able to access it for review and copying. File review and copying requests for criminal cases may only be made in person or by mail; there is no option in San Diego County for accessing criminal file documents online. When the file review or copying request is made in person, be prepared to provide photo identification along with the case identifying information from your court index search. You will be required to pay a per-page fee for copies, and requests for copies may take two or more days to be processed. When there is a delay in processing a copy request, court staff will provide you with a pick-up time or contact you when your copies are ready. We have multiple listings for a William J Dominguez in California however we will need additional information to verify we’ve located the correct address for him. Can you provide us with his age and any previous addresses he has lived at. There are many people with the same names in San Diego so if you can provide us with as much information as possible we can assist you with locating your son for you.